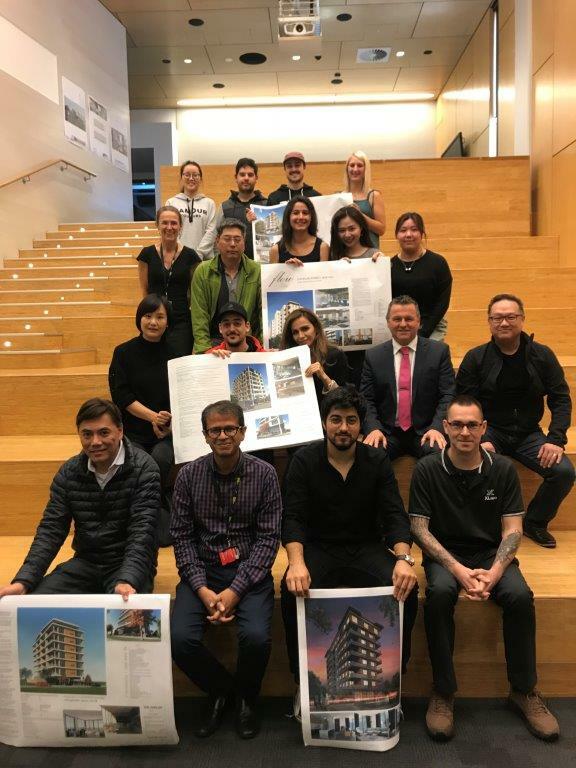 This year, our final year evening group of students tackled our most challenging project yet – a Cross Laminated Timber mid-rise apartment building designed to Passive House Standard. With expertise from Marcus Strang, an accredited Passive House Designer, and many other industry guest speakers, the students created a comprehensive set of working drawings using Building Information Modelling. Marcus analysed the final design and concluded that it met Passive House Standards and if the apartment building were built, it would be a Net Positive Energy building, i.e. generating more power than it consumes when measured over one year. This was a very sustainable project with an exciting result and excellent learning outcomes. Thank you to all our guest speakers, reviewers, teachers, and support team for their ongoing commitment and of course, thank you to our extremely hard working, talented students.